Beauty has changed a lot since I started working in the industry back in 2007. If you can remember 2007, that was the year that the iPhone debuted—when the selfie was but a twinkle in your first smartphone’s screen—and Britney Spears shaved her head. In a decade of playing with products, testing tools, and interviewing countless makeup artists, hair colorists, hairstylists, nail artists, dermatologists, and estheticians, I’ve seen many a beauty trend come and go. But I’ve also amassed a goldmine of expert tips and tricks that stand the test of time and have forever altered the way I care for my hair and skin. I could seriously go on forever, but these are without a doubt the 19 best pieces of beauty wisdom I have learned in my years in the biz. The reason some eye creams are sold in tubes with metal tips is that the metal helps deflate puffy areas by cooling the skin, which theoretically constricts blood vessels. But you can get the same exact effect by just stashing any old eye cream in the refrigerator. During the summer, I do this with my can’t-live-without-it Yes To Coconuts Ultra Hydrating Overnight Eye Balm ($16, ulta.com), but it works with any formula. The fridge is also a great place to stash nail polish, as it keeps it from thickening over time. If you think about your skin as if it were a sponge, you want it to soak up all the good stuff you’re applying to your face and body. Therefore, it’s important to layer properly. Use the thinner, more watery products first in your skin routine and finish with the heaviest creams or oils. Oils help seal in any products applied prior. So if you’re starting with an oil and then adding a lighter hyaluronic acid serum on top, you’re not going to see those amazing HA benefits. 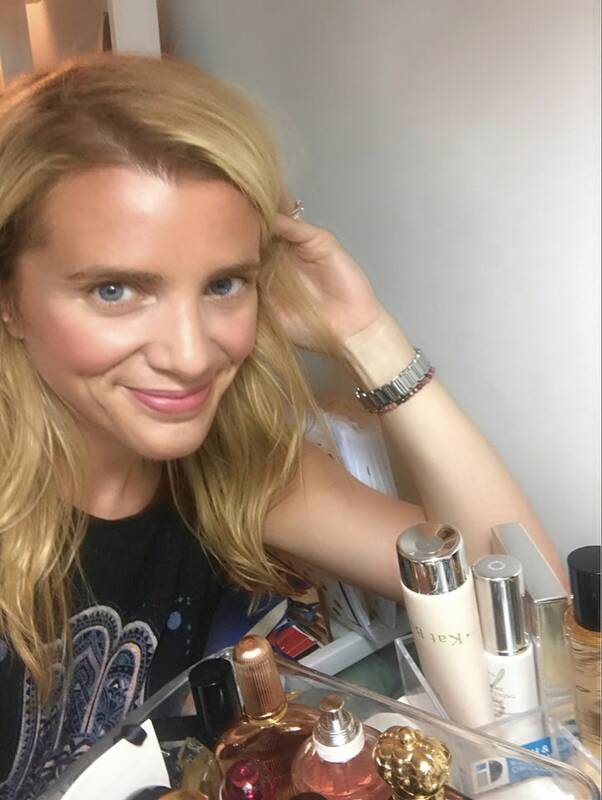 I can’t tell you how many makeup artists have told me lipstick would be their “desert island” beauty product pick. Before I began my career, I was a mascara diehard. Now, not so much. Turns out a lipstick, especially something bold (I love a hot magenta or coral in the summer; a classic red in the winter) can also be dotted onto the apples of cheeks and the lids of eyes for a monochromatic look you can pull together in two seconds flat. I regularly do this with whatever lipstick I have on hand. (If you’re a bit gun-shy at the idea of a one-color-fits-all look, try a lipstick close to your lip color for a neutral effect.) My go-to is Tom Ford Lips & Boys in Thomas ($36, sephora.com). 5. Don’t touch your face unless you have to. Your hands are GRUBBY. And hand sanitizer totally doesn’t count—at all. As someone who is oddly scared of others touching my face, perhaps I take this tip a bit too seriously. But your hands are REALLY dirty. Anytime you’re just cradling your chin in thought, putting your hand to your cheek or the like, you’re actually leaving germs behind, and creating a potential zit minefield. Makeup primer is the natural go-to product to prep your skin for long-wearing makeup application, while also helping seal in your skin-care routine. But what’s even better is setting spray. After you finish your makeup, just a few choice spritzes will keep everything in place. Try one with added benefits, like Urban Decay Chill Makeup Setting Spray ($31, sephora.com), which cools and hydrates skin, or CoverFX Illuminating Setting Spray ($31, sephora.com), which gives dull complexions an ethereal glow. 7. Don’t double or triple process your hair like I have. I have made a trillion hair mistakes in my almost 33 years. I was born with light blonde hair that turned green every summer because I loved to swim. By the time I was a teen, it had gotten darker and curlier—the latter of which was extremely distressing in the 1990s when everyone’s hair was stick straight and mine had a Jewish frizz pattern that even the toughest of stylists had problems taming. So I started getting highlights at far too young of an age (15, fine, I’ll tell you). By the time I was 17, the Japanese straightening process had rolled around. And I did that, too.